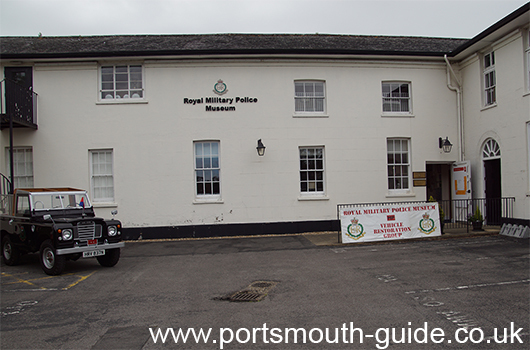 The Royal Military Police Museum moved from Chichester to Southwick Park in 2007. On 7th June 2007 Her Majesty the Queen, Colonel in Chief of the RMP, officially opened the museum. The museum traces the story of the Royal Military Police with each room covering a different time period. Explore the changing face of the RMP from its origins on horseback to today’s motorcyclists, crime scene investigators and computer experts. The museum is housed within the old stable block of Southwick House. The house itself was commandeered by the Military for use during the planning for D-Day, and is where the famous D-Day wall map used in June 1944 to plot the course of Operation Overlord can still be seen. Visits to the museum are by appointment only.